It’s pretty hard, isn’t it? Building a business really is HARD work. There’s a million things to do. Competition can be brutal. And statistics don’t always favor your success. So you’ve got to up your game. If you want to rise above the crowd and create a strong, healthy company, then you need a culture of innovation. That’s the kind of company that gets noticed and remembered. …they literally changed the world! Or if Netflix hadn’t decided to offer an instant video streaming service. But let’s take a step back. Setting out to change the world like those folks did can be daunting. …or giving flowery, confusing, meaningless speeches. Unlike your competitors are likely doing, you don’t need to wait for innovation or creativity to find you. There are plenty of concrete strategies you can use to adopt innovation and drive your company forward like never before. You DO have enough time. Want to know how I know? It’s because you have the same 24 hours each day that every successful entrepreneur or business leader has always had. The only question is how you choose to use those 24 hours. Do you choose to fill your schedule by responding to every trivial problem, request or email that comes your way? Or do you choose to be a captain of delegation so that other people can do the work they should be doing, while you focus on the most important work that you can be doing? Just because a fire is burning, does not mean that you need to be the one to put it out. Unless it’s something that only you can do, do your best to get it off your plate and give it to someone else. You might think that this will cause your company to become neglected and to fall apart, but it’s quite the opposite. …and it gives you time for creative thinking so you can create a healthy, innovative company. If you are the leader, then a culture of innovation starts with you. Here are 20 concrete tactics that will help you push forward and create a foundation of creativity and innovation for your company. Enjoy! You might feel like you’re being lazy, but taking time to just think might be one of the most important things you could do for your business. There are many different ways to go about setting aside time for creative thinking. You might want to just take a certain amount of time to sit quietly and see what thoughts pop into your head. You might want to try taking a walk. The fresh air and change of scenery might help you make a connection you didn’t see before. You could try writing in a journal about a problem you’re trying to solve. As you do so, you might find that you see the situation much more clearly than you did before. Writing down whatever thoughts, ideas or solutions come to mind (no matter how crazy or stupid sounding) can be an excellent use of time. …a project or department that you’d like to help improve or move forward. The possibilities are endless, as are the amount of ideas you might come up with. 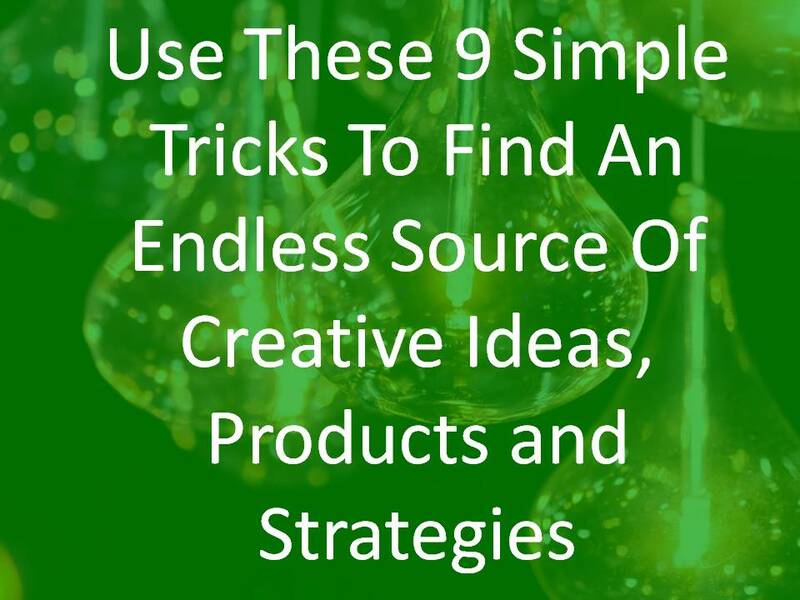 But none of these potential great ideas can help you unless you take the time to find them. Whatever else you fill your schedule with, make sure you schedule a healthy dose of creative thinking time. So many things remain impossible to us because we never even attempt them. And we never attempt them, because we assume they are impossible. An innovative company may be able to accomplish what’s perceived to be impossible, because it’s the only company with enough creativity to even make the attempt. When setting out to solve a problem or accomplish a task, try starting with the assumption of success in mind. Then, figure out what success would require… even if the task seems impossible. By suspending belief, you’re able to think outside the box and discover that there just might be a practical way to accomplish what was believed to be impossible. You might have to do a lot of editing and refining to your plan to make it realistic and doable. But that seems like a small price to pay to accomplish the impossible. As you do this work, I highly recommend writing things down. Write down the goal, the practical steps, the people involved, etc. As you do so, your brain might perceive things differently and more clearly than if you were just talking or thinking about it. Please don’t make the mistake of thinking that hard work alone will lead you to success. The problem with this assumption is that success will be forever beyond your reach, if you don’t take the time to figure out what success means to you. Believe me, I know that setting goals can be intimidating. Once you set a goal you have something to lose. And nobody likes to lose. Let’s say you’re expecting a $250,000 increase in revenue during the next year. But, you decide to make some changes, work hard and reach high. So, you decide to make a goal to increase revenues by $750,000 during the next year. At the end of the year you realize you fell short. You only increased revenue by $450,000. That means you’ve missed your goal by $300,000. That sounds like a bummer. And of course it kind of is. You didn’t accomplish what you were hoping. But look at the big picture. Because you set a goal, you reached higher and worked harder. As a result you increased revenue by $200,000 more than you were initially expecting. That’s what we call a win. Maybe you didn’t reach your version of success yet. But you’re much closer. When setting goals feel free to get creative. Maybe try setting a goal to come up with 5-10 new potential product ideas during the next week. See what you can come up with. Chances are, not all of your new product ideas will be great, but some of them might be just what you need. An important part of creativity is your subconscious mind. There’s so much that you’ve witnessed, learned and experienced that you may not remember. But that doesn’t mean your subconscious has forgotten. Creativity is often your subconscious making a connection between two or more memories that your conscious mind may not remember. As a result, it’s vital to fill your subconscious with valuable information. Even if it’s information that your conscious mind forgets, it becomes a resource that your subconscious can call on in a time of need to create a solution for you. Take time to read, watch educational videos, listen to audiobooks or programs, etc. Blogs can be an excellent resource to find useful information, but don’t only rely on articles, podcasts and YouTube videos. I highly recommend reading books. They can give you a much deeper, more complete education on important topics. The good news is that many, probably most, people aren’t willing to read books. So, you’ll be able to find plenty of information in books that sets you apart from the crowd and gives you an advantage that most others won’t have. PS. When you’re educating yourself about a certain topic, it can be useful to study a good mixture of both traditional and contrarian viewpoints. Your subconscious is an incredibly powerful tool. It seems to remember and process huge amounts of information, even while you sleep. So, why not put that tool to use? At the end of the day, think of a problem for which you need a solution, a question you’d like answered, or a task you’d like to accomplish. Then tell your subconscious to get to work to come up with a solution or an answer. Consider telling your subconscious out loud or even writing it down. While you eat, hang out with friends, play with your kids, watch TV and sleep, your subconscious can continue your search for an answer. It’s important that you believe that your subconscious can find an answer for you. If you don’t, it might stop looking for an answer. This tactic might not work every single time you try it. But give it a shot. Before you finish work today, think of a homework assignment for your subconscious. Write it down. The answer may very well come to you when you least expect it. I believe that a major roadblock to innovation and creativity is the fear people have of dumb ideas. They’re afraid of embarrassment, possibly even if no one else will know about their ideas. As a result they don’t come up with any ideas. You’re allowed to have dumb ideas. If you’re going to come up with a lot of good ideas you’re probably going to have to come up with at least a few (or maybe a lot of) dumb ideas. There are three things you can do with those dumb ideas. Save them. It’s OK if they start out dumb. Write them down and save them for later. You may find that you have a great way to refine them and use them later on if you read through them again. Work on them. Think about ways you could adapt them, refine them, prune them, add to them, etc. Eventually, you might come up with something outstanding. You don’t just want to become creative and innovative yourself. You want to foster an environment and culture of innovation and creativity. Brainstorming with small groups of people can be fun and interesting. And it can also help you come up with much better ideas than you might be able to come up with on your own. Make sure everyone knows it’s OK to have dumb ideas. And make sure everyone knows it’s not OK to belittle anyone for their ideas. In this way, you can start out with an idea that might seem useless in the beginning. But with a positive, creative team environment, seemingly useless ideas can be reworked and refined by multiple people into excellent, even revolutionary, ideas. Competing with a recognized market leader is extremely difficult. If you don’t believe me, just ask Pepsi. Research has apparently shown that consumers prefer the taste of Pepsi over Coca-Cola. Yet the Coca-Cola Company is worth around $40 billion more than PepsiCo Inc.
Why is Coca-Cola so much more popular than Pepsi if Pepsi tastes better? Once there is an established, preferred brand in an industry, it often makes little sense to try to compete with them directly… even if you are better. Most people will just assume that the preferred brand is the better brand and go with them. Instead, look for an opening in the marketplace by carving out a market niche or subcategory that you can dominate. One way to do this is to have a specialized product. Maybe it’s smaller and more compact. Maybe it’s faster or more powerful. Maybe it’s more colorful or aesthetically pleasing. Whatever it is, it has to be different and, at least in some certain aspect, better… even if in other aspects it might be only equally good or even inferior. Another way to carve out your own subcategory is to focus on a certain demographic. You could focus on women, younger people, artists, athletes, etc. A few decades ago, Pepsi managed to become quite successful (if not as successful as Coca-Cola) by establishing themselves as THE Cola drink for younger people. If you’re trailing behind an established brand, what could you do to differentiate yourself and find an opening in the marketplace? PS. Just because PepsiCo Inc. isn’t as valuable as the Coca-Cola Company, doesn’t mean that a subcategory has to be less profitable. Think about Starbucks. They created the subcategory of gourmet coffee. And I think it’s safe to say that it’s worked out for them. When a competitor comes out with something new and innovative, the natural response is try to figure out how to catch up to them as quickly as possible. Unfortunately, this is a great way to make it clear that your competitor is the leading brand. I’m not saying you should never try to catch up to a new innovation from a competing brand. But that should NOT be your main focus when a competitor pulls ahead of you. If you spend all your energy trying to catch up, then you’ll never be the number one brand. Instead, take a step back and analyze. 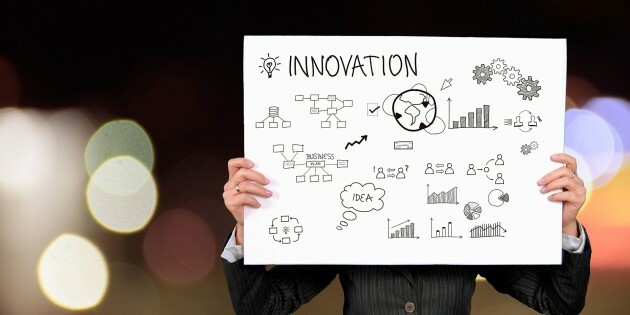 Try to figure out what the next likely innovative step would be for your niche. Focus on becoming the first brand to offer that new innovation. In other words, don’t try to catch up to your competition. Try to leapfrog them by coming out with the next innovative thing before they do. A great example of this is what Apple did in the late 90s/early 2000 years. Microsoft had been winning the PC war for a long time. Instead of focusing on catching up to Microsoft, Steve Jobs figured out what the next step could be for the personal computer market. He figured the PC ought to be a digital hub that connects well with your smaller electronic devices. This allows you to much more easily make changes to things like your photos, music, home videos, etc. For example, you record videos on your video camera, then you connect your video camera to your computer to edit or make changes to your videos. Thanks to the large screen and keyboard, this was much easier to do on your computer than on your camera with its tiny screen and buttons. This change in personal computer philosophy (the computer switching from being an isolated device to a digital hub for multiple devices), set the stage for Apple to successfully release the iPod, which seems to have been the beginning of their dominating the tech industry. Once you reach that number one spot in your industry, there are a few things you can do. You can comfortably admire the view from the top and wait till someone else snatches the lead away from you. Or you can try to figure out what the next logical, innovative step in the industry would be… then do it yourself. Going back to the Apple example: Since the success of the iPod, has Apple just sat around or have they fought dirty against new innovation? No. They’ve come up with one innovative idea after another: the iTunes Store, iPod Touch, iPhone, iPad and so on. Don’t become content on top. Stay miles ahead of the competition by evolving and improving over time. When you’re a small to medium size business owner, it’s probably easy to assume that you’ll never own anything bigger than a small to medium size business. Sure, multi-billion-dollar businesses don’t pop up all the time. But, that doesn’t mean that you couldn’t lead a business to that type of success… especially if you work to develop creativity and innovation. Many, if not all, of the companies that grow to be multi-billion-dollar giants in under 10-20 years have something in common. The market leader in an industry or niche that is growing at a rate of least 10% per year. If you manage to find an industry or niche that is growing or is anticipated to grow at least 10% per year, and then manage to establish yourself as the market leader there’s no telling how fast your company will grow. That is how companies like Coca-Cola, Ford, Apple, Microsoft, Google and Facebook were made. Take some time to identify existing niches, or potential niches that you could create, that are experiencing or anticipating rapid growth. Then think how you could claim market leadership in those niches. PS. Keep in mind that building a star business is not necessarily any more challenging than building any other type of business, but it can be far more rewarding. Just because you want to be creative, doesn’t mean that you can’t stick with what already works. Look around for things that work well in other companies and especially other industries. Chances are other industries are doing things that would work really well in your industry if tried. Then, feel free to copy whatever’s working well. Obviously, you don’t want to be too obvious that you’re copying someone else’s strategy. But, on the other hand, don’t think that modeling success will somehow make you a fraud. 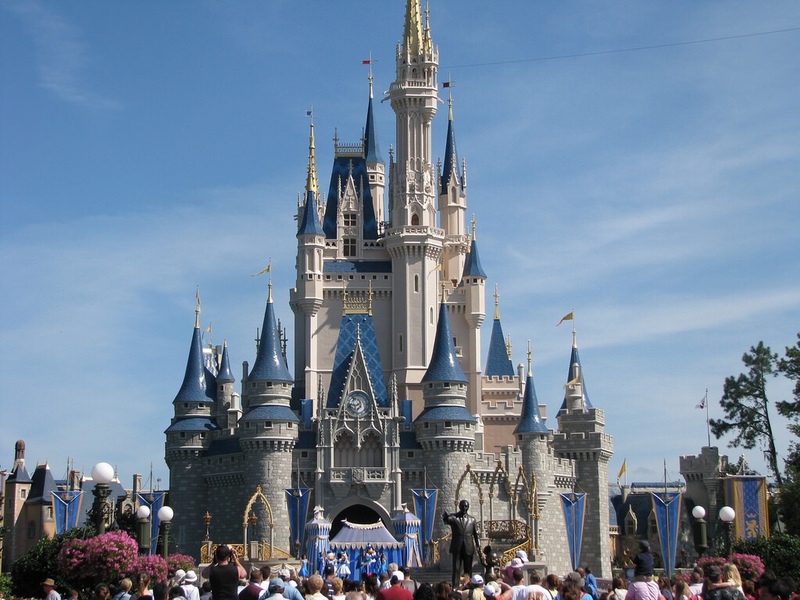 Disney has become a beloved and successful brand by entertaining and appealing to children. How could, say for example, a business to business company use this strategy? Well, people love their kids. Often times people will probably like you more if you do something for their kid than if you do something for them (the parent). Why not host some type of children’s party or outing for the kids of your potential customers? This is similar to tactic #12, but not completely the same. The idea here is to take two or more random product or product ideas and synthesize them into one. Starting out with the iPod and the sports car, we could think of a stereo system in your car that connects wirelessly and seamlessly with your iTunes account. Bringing in the house, a construction company could build houses with surround sound speakers already built into the walls. The speakers could be part of a system that doesn’t just connect with your TV and Blu-ray player but also connects wirelessly and easily with your iTunes account. What type of product ideas or other ideas could you synthesize for your business? I mean it… get away… far away… preferably out of the country. Aside from having fun and expanding your horizons, there are two major benefits to this type of travel for an entrepreneur or business leader. The first is that you may discover a potential business environment where you literally have zero competition for your products or services. Clayton Christensen, author of The Innovator’s Dilemma and Harvard Business professor, spoke about this. Christensen, like me, is a Mormon and his daughter served a mission for our church in Asia. Before his daughter returned home, Christensen and his wife visited and traveled with their daughter in Asia. At the markets in Mongolia people were selling small televisions (the type with bunny ears; anybody remember those?). These included and were powered by small solar panels and were selling very well. Why did the solar panels sell well in Mongolia and not here? Because many of the people in Mongolia didn’t have any other way to watch television. At night or on cloudy days they may not have been able to watch TV. But on those days they were no worse off than they were before they got the solar powered television. In short, people selling solar panels in Mongolia were competing against nothing. It may not have been a perfect system to watch TV. But, as Christensen pointed out, it was infinitely better than no system at all. When you travel, keep your eyes open for opportunities to sell your products or services while competing against nothing. Those can be golden opportunities. The other benefit to traveling in other countries is that you can observe products, services and businesses that are popular in the place you’re visiting, but that don’t exist back home. This can be an excellent opportunity to find new products, brands or businesses that you could offer or launch yourself when you get back home. When I was younger, my family and I moved to Germany for a few years. Something we noticed there was how amazing most flavors of ice cream tasted, especially fruit flavors. There’s absolutely no comparison between the fruit flavored ice cream in America and the ice cream I tasted in my youth in Germany. It was amazing! I’d be willing to bet that that type of ice cream could sell very well in America. All too often we do things, not because they make sense, but because that’s how they’ve always been done. Every now and then it helps to question ourselves and ask “Why”. Q: Why am I hosting this retreat? A: To improve employee morale. Q: Why do you want to improve employee morale? A: Employees tend to be more productive when they’re happy. Q: Why do you want to improve productivity? A: So that we can increase our market share. Q: Why do you want to increase market share? A: So that we can increase profit. Q: Why do you want to increase profit? A: Because I want a larger income. And so on and so on. You can keep asking “Why” as long as you can come up with an answer. The point of this exercise is to find your true motivation and see if you are actually working to achieve your goals in the ideal manner. For example, increasing your market share may not be the most effective way to increase profit. Increasing prices and raising profit margins at the cost of market share might be more effective. Hosting a retreat may not be the most effective way to improve employee morale. Using the money the retreat would cost to hand out bonuses could possibly work much better. So, remember, don’t assume you’re doing things the right way. Instead, ask why. This goes along well with the previous tactic. You shouldn’t just ask “Why” because you might be doing something less than ideal. You should ask “Why” because things like “best practices” and “common knowledge” often turn out to be “wastes of time” and “useless frustration”. Obviously, this isn’t always the case. But, assuming that the traditional way is the right way is a great way to suffocate creativity and innovation. Starting with the assumption that the traditional way of doing things is inferior is a great way to discover a better way of doing things. If you have the patience, chess is not only a fun game but also an excellent mental exercise… especially for a business leader. Great chess players don’t just consider the next move. They’re often planning at least 3-4 moves at a time. They’re anticipating what comes next. They’re looking at the big picture. As a business leader that’s what you need to try to do. Look at trends. Look at fads. And try to anticipate not just what is coming next, but what is coming a year from now… three years… five years… and so on. Obviously this isn’t easy to do, but if you can train yourself to try to see what’s coming and plan multiple moves at once, it can pay off big time. For example, imagine you were in the printer or copier machine market in the early 2000 years and you had anticipated the world becoming increasingly paperless within a few years. You could have taken steps to invest in different types of products, services or technologies that would have allowed you to thrive instead of die in a paperless world. Adding something new is not always the best way to promote innovation. Sometimes the most innovative thing we can do is figure out what we can get rid of. A good example of this is a small business owner who feels that he has to control and approve everything. The end result is that he becomes a limiting factor for his own company. If everything has to go through him, then the speed, growth and success of the entire company is limited by his schedule, efficiency and abilities. He becomes the company’s worst bottleneck. A good, innovative solution is to first identify any tasks that aren’t necessary and stop doing them. Then, figure out all the things that he does that somebody else could do at least 80% as well as he can. Then, start dividing up those responsibilities to the people best equipped to handle them. Not only does this make his life easier, it sets the stage for more rapid growth and success throughout the company. …you might suddenly feel lazy because there’s not much to do. In our culture we’ve been trained to think that our worth increases proportional to how busy we are. In fact, we often brag about how jampacked our schedule is or about how little sleep we got last night. Simplifying and delegating are often ways to become more productive… even if the lack of stress and busyness make you feel less productive. Your more open schedule is an excellent opportunity. 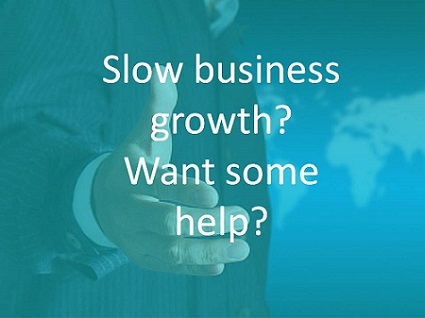 It gives you time to analyze how your company is doing and see where it can improve. It also allows you to set aside time for creative thinking. Even though, you probably won’t feel so busy, you have a chance to become much more productive. Looking at the big picture, analyzing your company’s performance and creatively looking for ways to improve and move forward are some of the most important, productive things a business leader can do. The more experience, knowledge and success you gain, the easier it is to forget that you don’t know everything. Taking time to read and educate yourself is important. But so is having a teachable attitude. Yes, you may be working hard to learn from the best. Yes, there’s a good chance you know much more about what you’re doing than almost anyone else. Yes, a lot of people will probably give you bad advice. But, that doesn’t mean you shouldn’t listen and look for the good. The richest, most educated person in the world could possibly still learn a thing or two by talking to some homeless man on the sidewalk. You very well may be the smartest person in the room. But, you should always remain willing to learn from anything or anybody, because you never know when a valuable nugget of wisdom will be provided. You now have 20 tools that you can use to turn your company into the success you’ve always dreamed of. The sky’s the limit! This is your chance to grow your wealth, make a greater difference and help more people (both the employees you hire and the customers you serve). This just might be your chance to build a company that changes the world. Go ahead and give it a try! 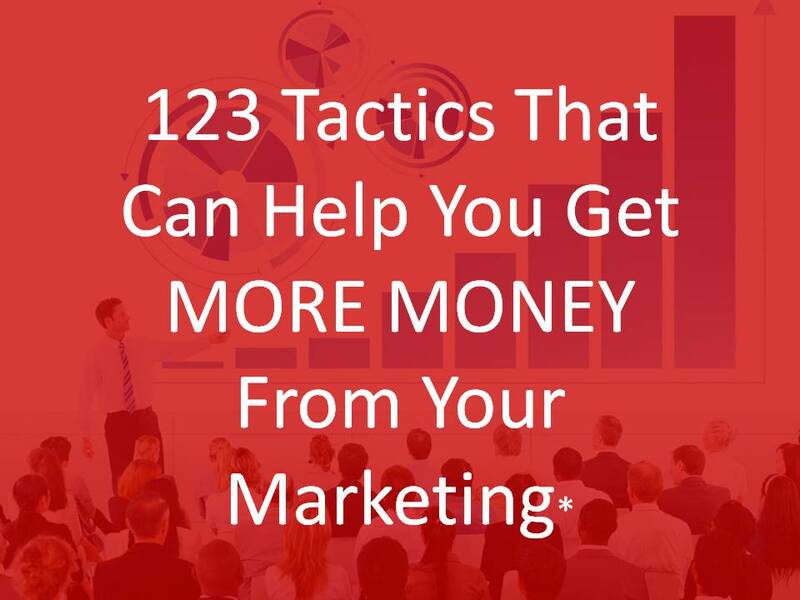 Don’t feel like you have to start using all 20 tactics at once… or ever for that matter. Start by choosing one of these tactics that you could use to help drive innovation in your company. Considering how little your competitors are probably doing to create innovative companies, a little innovation might go a long way. How about this? Pick 1-3 of these tactics that you feel you might want to start with. Then share in the comments which ones you chose and how you might go about implementing the tactics. Look forward to hearing how you plan to make a difference! Did you find this article helpful? If so, would you mind paying it forward by sharing it with your friends, colleagues and followers? Thanks a bunch!